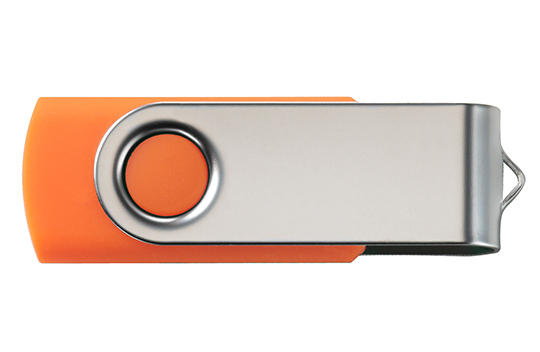 Our swivel style flash drive is one of our most popular and cost effective USBs. This flash drive has a permanent swivel as a cap along with a rugged steel loop should you wish to use a key-chain or lanyard with this model. 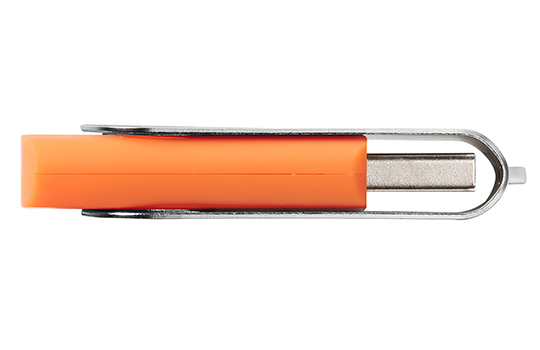 This drive can be toned to any custom Pantone color and is typically printed on one or both sides of the drive. It is available in very small capacities like 128MB for simple small data delivery, all the way up to 256GB for significant data storage and use. The print and component quality are the very best in the industry! We are always focused on the quality of our work and the competency of our staff to provide you with a smooth and seamless project. Get a quick quote below and let us show you how good we can be.